Tía Juanita creates the sounds of the various Latin-American landscapes, with a special accent in Argentina’s popular music, tinged with regional folk music. The innovative sounds of Tia Juanita are the result of its musicians` diverse educational backgrounds, reflecting the generation to which they belong, as well as the landscapes where their songs were written and where their musicians were born and raised. In 2015 they recorded: ¨Una parte del movimiento¨ (“One part of movement”),The record will be released in Argentina next September. It introduces 10 pieces of their own creation, which reflect the current reality of the Latin-American continent, speaking about subjects such as the beauty of its territory, the darkest times in its history, the harshness and the beauty of its cites, about its identity. In the record, you can feel contemporary sounds, also regional folk music, urban music and jazz. Since Tia Juanita is formed by 6 teacher-musicians, during their tours they offer concerts as well as Argentine Music Seminars, for Guitar, Piano, Percussion, Double Bass, Wind, Singing and composition of Popular Songs.Tía Juanita goes for new music, for its own creations, for contemporary sounds, respecting the cultural history of Latin-America. 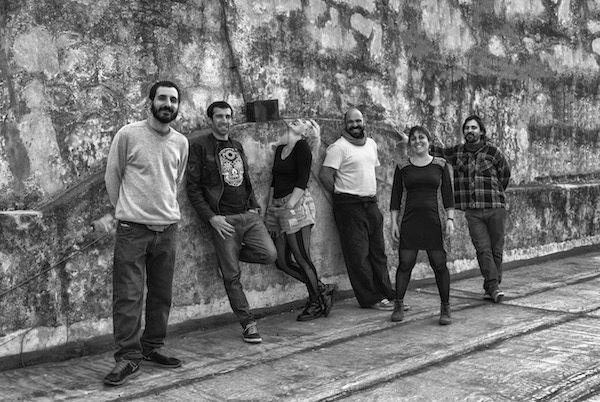 TÍA JUANITA at Terraza 7 on Friday January 29th, 2016, at 8:00 pm. No Replies to "TÍA JUANITA"